Life is tough when you have too many options. The same is true with food. When it comes to choosing the best dish, most foodies will go weak in the knees. However, if you ask them about the favourite foods in their cities, you will be served with a long list of dishes that are to die for. For Citibank, this was a cue. The bank was looking at engaging foodies beyond traditional bank marketing and making ‘Dining the new cool’. The idea was to tap into mobile consumers and get them to create their food journey armed with its Citi Dining offers: With Citi cards you can save a minimum of 15% across 2000 restaurants. Connoisseurs of good food in the country are always in for a treat, so the bank decided to pit them against each other. It targeted only two cities, Mumbai and Delhi by indulging in a digital-led food marathon called ‘#WhatsOnYourPlate’. 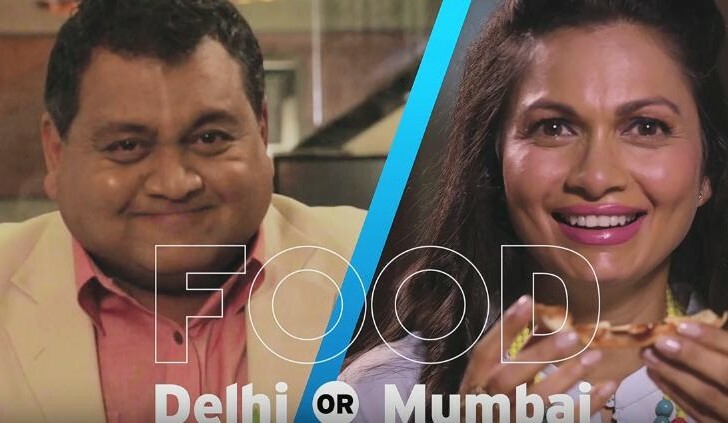 For the campaign Citi teamed up with two of the top food influencers in the country, Maria Goretti and Kunal Vijaykar, to help find out which of the two cities Mumbai or Delhi had the most amazing food. A teaser video was shot with Maria Goretti and Kunal Vijaykar on Fame Food, in which the two are fighting over Mumbai and Delhi food. While Kunal places his bets on Tandoori Chicken, Maria is all guns for Bombay Duck. The two then ask viewers to help them decide by suggesting them their favourite restaurant dishes in Mumbai or Delhi. One needed to tweet their suggestions on either Facebook or Twitter using #LuvToDine and #WhatsOnYourPlate. The most liked suggestions won a chance to dine with the two! A similar activity was also executed with Zomato influencers, where they got a chance to dine out with Maria and Kunal as well. Meanwhile, curated content was also created on the Zomato app. Entries for ‘#WhatsOnYourPlate’ contest poured in through Facebook and Twitter over the 3-day contest. To boost participation, food vouchers worth Rs 1000 were also given away. What a great campaign for foodies! I’d love to be a part of the food trail by #Citibank #WhatsOnYourPlate @luvtodine wouldn’t you guys? Maria and Kunal received suggestions by the boatload, and each is out to prove their city food is the best. ‘#WhatsOnYourPlate’ was now in the phase of final selection. Armed with buckets full of suggestions regarding the favourite restaurants and meals in Delhi and Mumbai, Kunal and Maria’s Food Marathon now takes them to some of the best restaurants in the two cities to find out which provides the best lip-smacking meal. Maria takes Kunal to Copper Chimney and Bungalow 9 of Mumbai while Kunal takes Maria for a meal at Coriander Leaf and Café Delhi Heights of Delhi. Finally, the two food lovers realize that it doesn’t make sense to compete, so just eat. Meanwhile, the foodie duo helped seed massive engagement for the campaign. The campaign hashtag trended on Twitter while it brought about a relevant engagement with foodies. Pitting Mumbai against Delhi is a smart plug to bring about engagement in the two cities and build awareness for Citi Dining offers. The partnering with food infuencers like Maria Goretti and Kunal Vijaykar along with influencers on Zomato, one of India’s most popular food search and ordering service, has lent a voice of authenticity to the campaign. The 3-day contest on Twitter garnered over 16,220 Mentions with an Engagement rate of 7.3%. Impressions gathered over the days were: Day 1 – 36,296,615, Day 2 – 61,540,529, Day 3 – 80,490,163. The videos received 1.6 million overall views.